If you’re not using your swimming pool much these days, there’s a better option than draining it, filling it in, and/or keeping it covered year round. With a swimming pool Deckover, you can utilize all of that valuable space in your backyard that’s currently being consumed by the pool any way you want to! A Deckover is the process of placing composite decking over an existing swimming pool, giving you usable living space while protecting your pool until the time comes that you either want to use it again or sell your property. That’s right, a Deckover pool cover can be completely removed so the swimming pool can be filled with water and used again — without any damage to the pool itself. Is It Time To Retire Your Swimming Pool? Installing an inground swimming pool (or buying a home that already had one) probably seemed like a really good idea at first. But if you seldom feel like swimming these days and the cost of maintaining your swimming pool just isn’t making sense anymore, then it may be time to find other uses for that area of your yard. Unfortunately, filling in or tearing out a swimming pool is a big expense. Plus, you would also lose the added resale value when it came time to sell your home. One of the best options that will put an end to the monthly maintenance expenses while allowing you to retain the swimming pool for use some day in the future is to install a pool Deckover cover. Cost savings: No longer will you be paying for electricity to heat and circulate the water in your pool and no longer will expensive chemical treatments be required. Safety: It removes the possibility of children and pets accidentally falling into the pool and drowning. No longer will you have to maintain a fence or removable cover over the pool in order to meet local safety ordinance requirements. Storage: The now empty swimming pool can be used as storage space. Constructing your Deckover in a water-tight manner will provide valuable dry storage space. Resale value: Since the swimming pool is still there, when it comes time to sell your home, potential buyers will have the option of removing the Deckover and re-filling the pool with water if they wish. Outdoor living space: With the new deck comes a perfect place to set up an outdoor dining or entertaining area. Or, simply use it as more space for the children to play. Insurance savings: Without an active swimming pool, your homeowners insurance will drop. Pools are nice but they can be a liability issue. Completely reversible: Returning your pool to normal function is a simply matter of removing the deck that covers it. 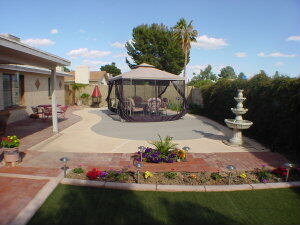 The deck or supporting structure and equipment do not damage the existing pool structure. The process of installing a pool Deckover cover is quite simple, actually. 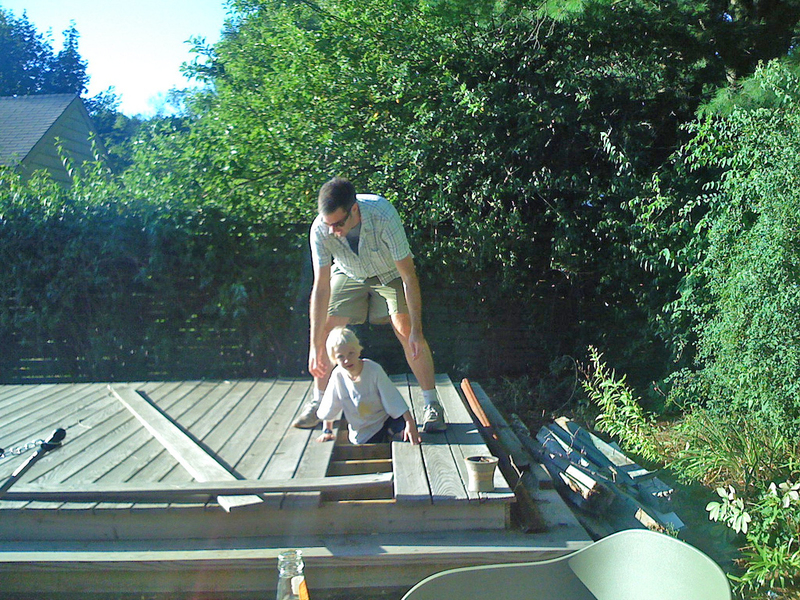 A Deckover is constructed very much like a standard composite deck that is attached to a house. It typically takes about a week to complete a Deckover project. Here’s the pool Deckover step-by-step process showing how it’s done. Many pools are quite wide. Construction of a deck would require sufficient support and should be designed by a structural engineer. If the deck itself isn’t watertight, then you will need to install a sump pump in order to prevent standing water from accumulating and creating a health hazard. If you want to be able to drive over it, it will need a few additional reinforcements. How Much Does A Deckover Cost? The price for a Deckover varies depending on the size and shape of your swimming pool. The type of material used on the deck itself. Turn your pool into a skateboard park. Watch kids play games inside an empty swimming pool. Host a party inside your empty pool. Take a radio-controlled vehicle for a drive. Give the kids a safe place to ride their bikes. “I learned that you can’t just empty the pool of water. If you do, it will float up out of the ground, possibly damaging plumbing and electrical connections to the pool. You can’t just fill it with dirt. With no way for rainwater to drain through the pool liner, it will become a mud pit. The decommissioning process starts with draining the pool. Then holes are drilled through the pool liner. A jackhammer or backhoe is used to remove the rim.